Superdry men’s Triple Drop Track sweatshirt. This sweatshirt is the perfect on trend update for your wardrobe. Featuring a colour block panel across the chest and arms, with a textured Superdry logo and cracked effect Track and Field graphic. The Triple Drop Track sweatshirt is crafted from a soft touch cotton blend fabric and has a ribbed hem and cuffs. 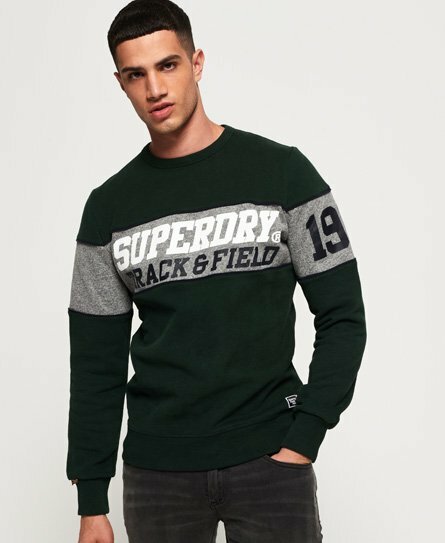 This sweatshirt is finished with a Superdry Track and Field logo patch above the hem.